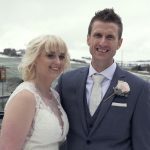 Welcome to AdamDS Media, I am a professional and friendly Wedding Videographer in Wakefield, West Yorkshire. As a Wedding Video creator I have a number of packages to help cover the different requirements of Wedding Videos. There is no better way to remember your big day than with a beautiful wedding video to relive all the special moments. I specialise in giving the most professional and discrete videography service for your big day. 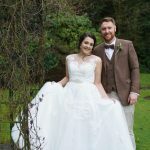 Every Yorkshire Wedding Video made by AdamDS Media is creative and unique to each individual couple. Our affordable packages mean you can get the highest quality videos without having to break the bank. I only use the highest quality recording equipment to give the best final product for you to cherish. If you are looking for a Yorkshire-based wedding video service, AdamDS Media would be your best wedding planning decision. When booking, try and do so early to avoid any disappointment. "We are super Impressed with what you have done, the whole thing is beautiful especially the overview video"
There are 3 packages available, however these can be changed to suit your needs. Not every couple wants the same thing, so don’t hesitate to voice your individual ideals for your wedding video. Each wedding video package includes: edited full versions of your wedding ceremony, first dance, speeches and the overview wedding film of varying time dependent to the package. On top of this, each package comes with an online private YouTube account, so sharing and watching your videos with loved ones is easy. 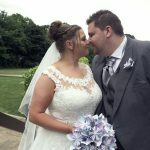 At AdamDS Media, Wakefield based wedding videographer, all wedding videos are backed up and stored in multiple places, so if the worst happens, replacements should be possible. Each Wakefield, Yorkshire & UK wedding video package is subject to a £100 booking deposit. If you have any further questions please don’t hesitate to call or email me. For all the packages, I license music that best fits your wedding film. This helps to capture the true essence of your big day. By doing this, I can get the best results possible and the most unique story. This means you end up with a film that you can share anywhere, without the fear of copyright infringement. Your wedding day is a once in a lifetime event that you have meticulously planned from start to finish. Having a wedding video will ensure that you can watch your big day back and relive it in all its glory. Not only will you get to see how the day you planned came together, but also the reactions of your guests that you may have missed or not had the time to take in. If you ask almost any bride what she remembers about her special day, she will probably tell you that it went by so fast that most of it was a big blur. There are some things that you may miss on the big day, such as the arrival of the groom or the bridesmaids, or perhaps you may even be wondering what your own entrance was like from everyone else’s perspective. Don’t regret it and capture all of those big memories. New technology has made it possible to provide not only a wedding video , but a cinematic wedding film at an affordable price . 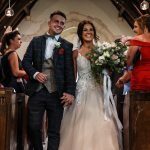 New cameras, new lenses and new stabilisation equipment has made it possible to capture things in a way only seen previously in the world of cinema, as a result wedding video production has become easier to give you, the couple, stunning memories of your special day that you can treasure for a lifetime. It’s really easy to forget your big day. You spend so long planning your wedding , but the day flies past so quickly. A romantic wedding video gives you a chance to relive your wedding from a guests point of few and catch up on all the small things you might have missed. Weddings are an abundance of memories, not a single moment. Make sure you capture every special part of your big day; you’re only going to do it once.